I’ve watched a lot of Jen Arnall-Culliford video tutorials. 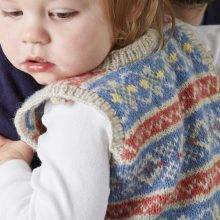 I’ve embraced intarsia (with a sort of half-hug but it is sincere). I’ve learned a pinhole cast on. Jen is the calmest teacher imaginable through whatever wacky thing she’s showing us. Today, we’re going to the next level. In this brand-new tutorial, part of Boost Your Knitting: Another Year of Techniques, Jen dismantles a screwed-up lace pattern and fixes it. I can’t really express how liberating it is to see this video. I wrote recently about the art of fudging. Many of my fudges have involved errors with lace. And the only lace I typically knit is in a shawl—you know, those 400-stitch rows that are a triumph to complete, one by one. Finding a mistake twenty rows down is absolutely an exercise in letting go. Part of the problem was that I thought the only way back was a lifeline and the solemn moment where you make a giant pile of wrinkled yarn at your feet. But this tutorial! Such a game changer in terms of giving me a method for fixing it. It’s such a magic trick. I encourage you to watch this, even if you’re not a lace knitter. It is a lesson in order, and methodical work, and being deliberate. It’s just so good. As Jen reminds us, “Sometimes we should step out of our comfort zone.” The feeling of accomplishment that comes with this is so satisfying. Thanks, Jen, for leading us through the quadruple bypass of knitting, piece of cake. The Boost Your Knitting design for this month is the Sterlyn Shawl by none other than the extremely clever Joji Locatelli. 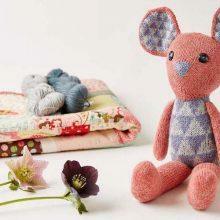 This is lace at its most approachable, a great place to begin. So pretty! We may be the biggest fans of Jen and Jim Arnall-Culliford. 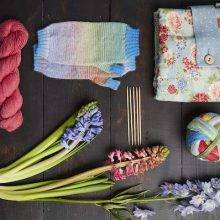 They have developed a way of learning new knitting skills that combines great designers, useful techniques, and beautiful yarns. Boost Your Knitting features a new project and a new technique each month, for the coming year. 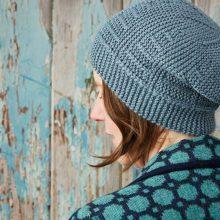 You can read all the details about signing up for the Boost Your Knitting book and yarn kits right here. There's always something new to learn. We have dozens of Jen's videos here on MDK. I love these videos by Jen! Can’t wait to try this as I know I will need to fix a mistake in lace. Since I’ve retired I have been trying to challenge myself with new techniques and am so enjoying building my skills. Thanks for helping me do it! Fixing mistakes in lace was THE major topic that got me to sign up for Year of Techniques 2. I can cope with the missing yarn-over problem, but being able to drop down several rows in lace seems nothing short of genius in action. I want Jen’s advice on how! What a great tutorial!! I did this in worsted weight yarn to fix a cable but her manner of pinning each yarn,etc is brilliant. Very controlled. Thank you! That was so excellent! Thank you. Hi Gail–We will be stocking the print book when it is published in September. 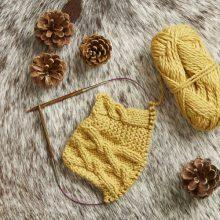 But honestly, we hope you’ll jump in now for Boost Your Knitting and get it from Jen and Jim, because each month a new digital pattern from the forthcoming book is sent out to subscribers via Ravelry. Makes it fun to jump in with everybody learning each month’s new technique over in the Arnall-Culliford Knitwear group on Ravelry. I have done this before with cables and I don’t know why I e not tried it before with lace?! I’m going to get some combs. Those looked so useful. If you don’t have them one could use pins instead. Well worth watching. That was a very simple lace pattern error and relatively easy to fix. I’d like to see a video for a robust/intricate lace pattern error fix where multiple rows must be undone in multiple section that then become a tangle of rows to be reknitted because that kind of video would have truly aided me not having to totally unknit the last seven rows of a lace cardigan pattern that is knit as an all in one piece until you reach the sleeve openings where yarn overs were in multiple places with very few stockinette or purl stitches in between such that once an error is not immediately corrected, the errors compound. However, for a beginning knitter, your video was delightfully enlightening. I once had to undo as you demonstrated 84 (yes, 84) rows of one cable section in a poncho comprised of 7 different colums of cable patterns to fix an error. Please consider making a video of fixing an error or set of errors that have recurred in a highly intricate lace pattern such as the pattern shown in the kit photo. Thank you for considering this very challenging idea. In the meantime I’ve rewound the crinkly lace yarn (which also had mohair content so you can imagine what that unraveling experience was like…). And I have begun to reknit those over 450 stitch rows!! It’s only time that has been lost!! all will soon be well again!! Blessings!! I feel like the principles demonstrated in Jen’s video apply to mistakes in a lace pattern of any level of complexity/intricacy. (Although if there are yarnovers/decreases on the WS, that would be challenging for my brain, to work them correctly from the RS.) If there are mistakes in multiple sections, you’d have to repeat this procedure multiple times, and at some point I guess you’d have to reckon whether it’s quicker to just go back to the lifeline. I have been using a similar technique to fix garter stitch, and cables, but her technique is so refined and that way of pinning out the yarn from the ripped out rows is ingenious. 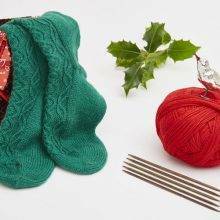 This is such a good way to fix knitting without ending up with wonky stitches. This only works well if you haven’t made too many decreases or yarn overs in your mistake or you won’t have the right amount of yarn in the rows above to reknit the pattern correctly. Bookmarking! I have pulled out entire projects because of an error in lace. Thank you Jen and MDK! This tutorial is brilliant. 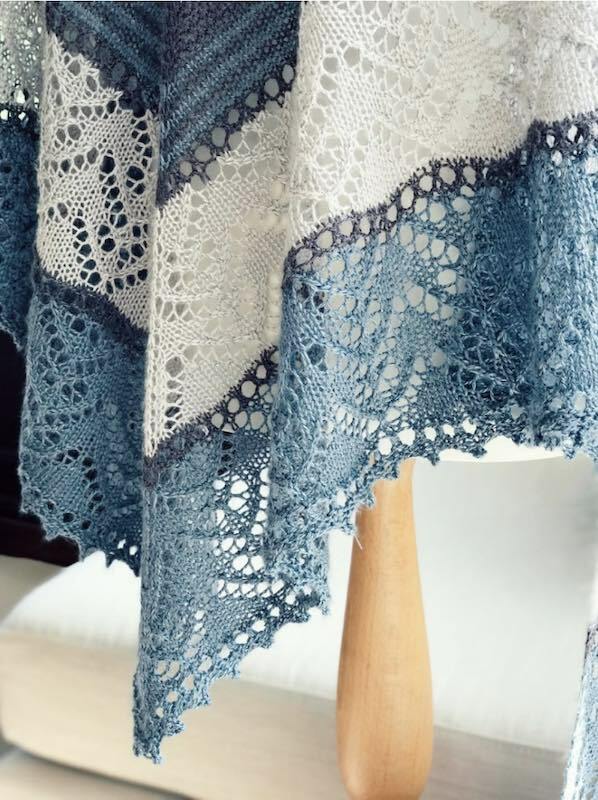 I’ve been considering making a lace shawl, but the intricacies and possibility of error have kept me from taking the plunge. But, armed with this? I think I can do it! I have tried this, and you are so right, it is empowering to be able to fix errors from a few rows back rather than ripping very long rows out. I also love your systematic approach which prevents having to try again because I have reknitted the wrong strand. This is amazing and so helpful! I may actually knit lace again! Excellent video on repairing lace. Very clear and precise. Thank you.